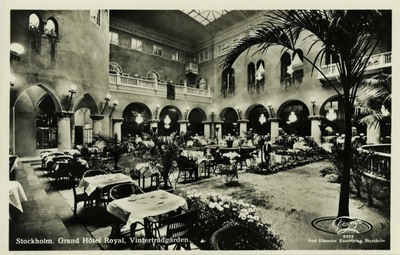 "Sweden – Stockholm, Grand Hôtel Royal"
Stockholm. Grand Hôtel Royal, Vinterträdgarden. One black and white postcard with a divided back. The postcard was published by Axel Eliassons Art Publishing Company in Stockholm, Sweden.